Our mobile computer repair technicians will come to you, and provide fast, cost effective data recovery and restoration services. Data recovery is one of the most common jobs we undertake at our computer repair shop. If you have a problem with a crashed or physically damaged hard drive, PC Fixer provides data backup and recovery services. Our data recovery service isn't just limited to hard drives. We can retrieve information from virtually any media type, size, interface or brand. We're familiar with even the most obsolete types of data storage media. 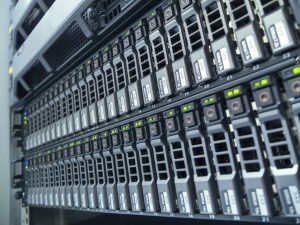 Many are still candidates for restoration, and we frequently recover data if the correct requirements are met. We Bring the Computer Repair Shop to You! When you have a loss of data, PC Fixer's onsite techs can quickly diagnose the severity of your issue, and begin the process of helping you get back your needed data. Our technicians are well-trained to retrieve your files, whether your data is lost due to accidental deletion or from damage to your hardware. If we cannot facilitate a full recovery on-site, we can take your system back to our shop for deeper recovery services. Call us before noon and we can be at your location within four hours, anywhere in the Los Angeles area. The computer repair experts at PC Fixer can recover lost and damaged data quickly and affordably, one byte at a time. 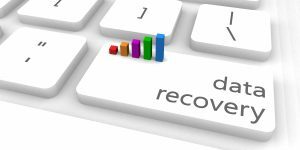 We offer our quality data recovery services at reasonable prices. If your loss is due to hardware damage, overwritten files, corrupt partitions, our expert staff will solve the problem and retrieve your data. We can also recommend ways of keeping backup records and selecting suitable secondary storage media. When material is accidentally deleted on a major scale, when a partition on a disk drive has been corrupted, or when files are lost due to hardware damage or malware infection, the technicians at PC Fixer have the expertise to salvage your files and recover the data you feared was lost. Hard disk failure is the most common cause of lost data, but other types of electronics may fail and require information retrieval. Our mobile service is designed to give you peace of mind regarding the recovery of your important work. Contact PC Fixer today for all your data recovery needs. Even when dealing with older technology, the experts at PC Fixer have the knowledge to recover your files. One of the greatest fears the ordinary computer user has when upgrading their computer systems is the inaccessibility of data on older storage media. We have the solutions for you, and can help you to back up your older data in newer, more easily accessible formats. We'll help you choose the most effective way of backing up all your data. Once we have recovered your old files, you will want to be sure you have the means of accessing that data from now on. Our experts consult with you about your needs and provide you with answers to all your data storage questions. We can even train you to run regular backups on your own. A logical failure is when the media has not been physically damaged. A file may have been deleted, reformatted or contaminated with a virus. Generally, in these situations, data is easier to recover as long as the data has not been overwritten by subsequent usage. If you contact PC Fixer quickly, we may even be able to assist you in recovering these types of losses by way of a secured remote connection! We provide readily available live online service to our valued clients. A physical failure is when the media has been damaged, or the equipment experiences mechanical failure. Fire or water damage can result in a physical failure. A disk drive or a part of the mechanism such as a spindle or head may have failed. In these cases, the media, such as a disk drive, must first be rebuilt before data recovery can be attempted. If a recovery is possible, PC Fixer has a solution. Data has been corrupted, or you are unable to access the data stored in media due to physical damage or problems in the operating system. Call PC Fixer today for fast, safe, and economical data recovery services.